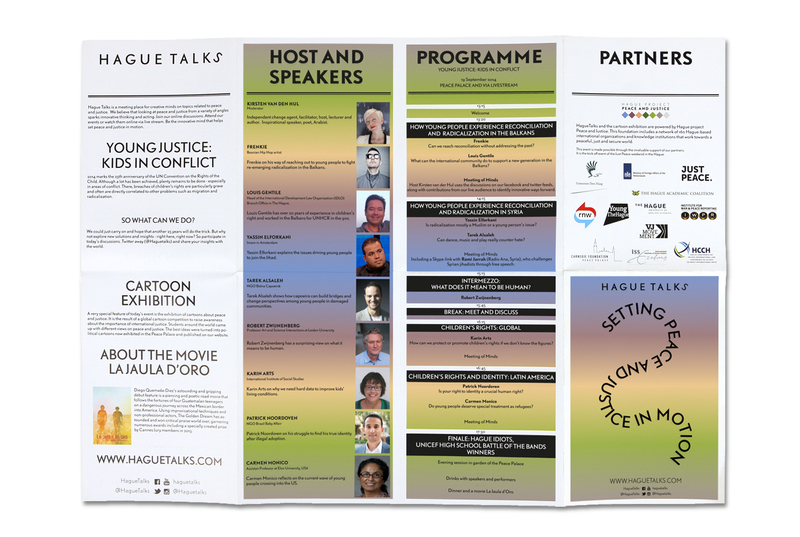 Hague Talks is an international travelling meeting place for creative minds, peace inventors and game changers in the field of peace and justice. 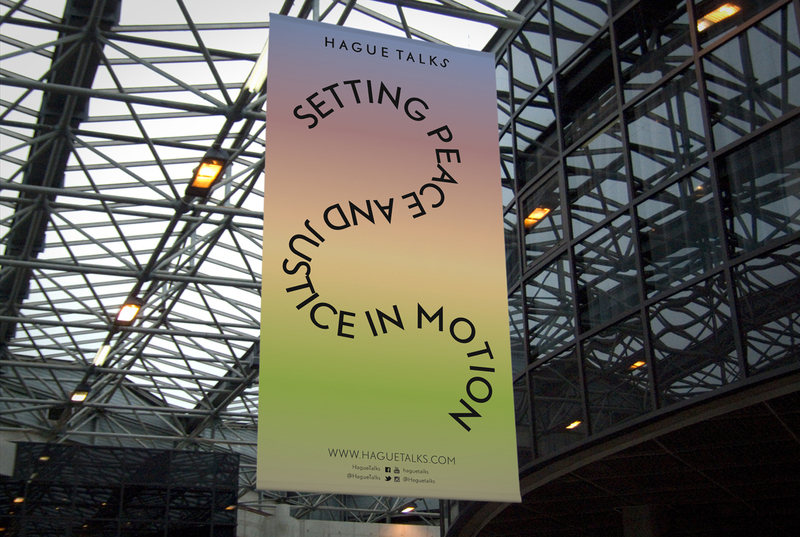 The first Hague Talks event took place at the Peace Palace in The Hague and future events will travel to New York, South Africa and further. 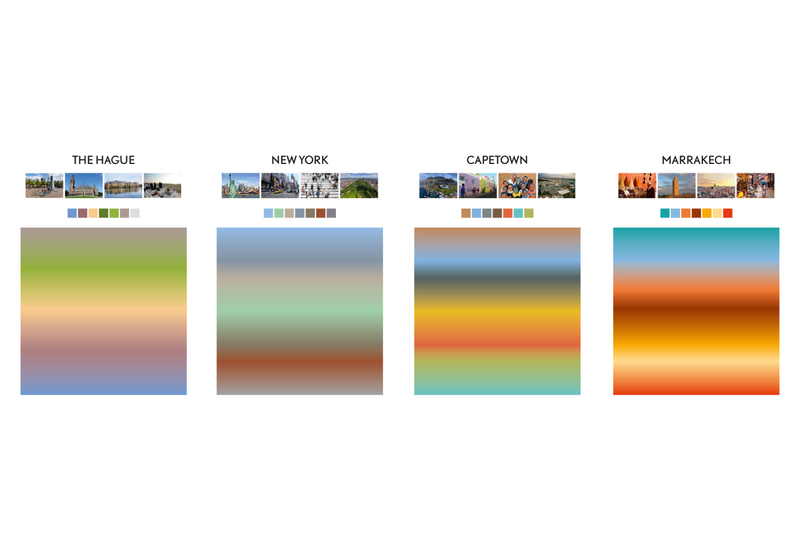 For each location the colour scheme is created from the prominent colours of that particular place. 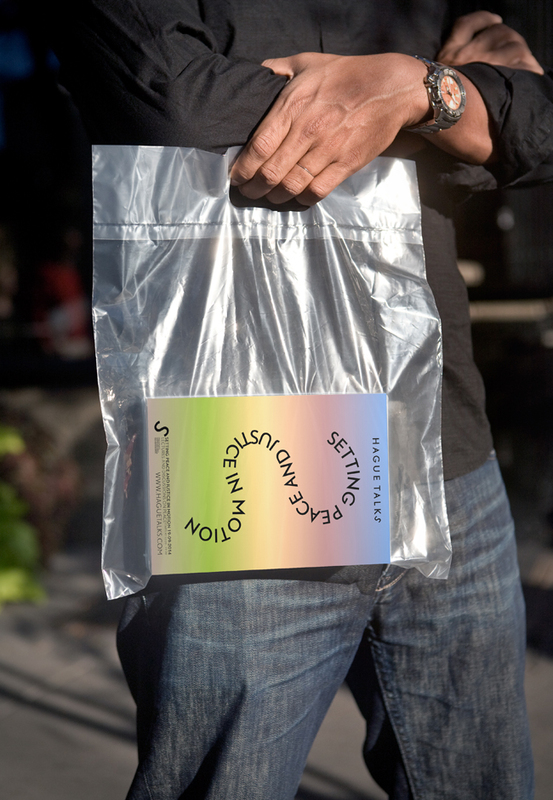 Therefore, each location has its own identity. 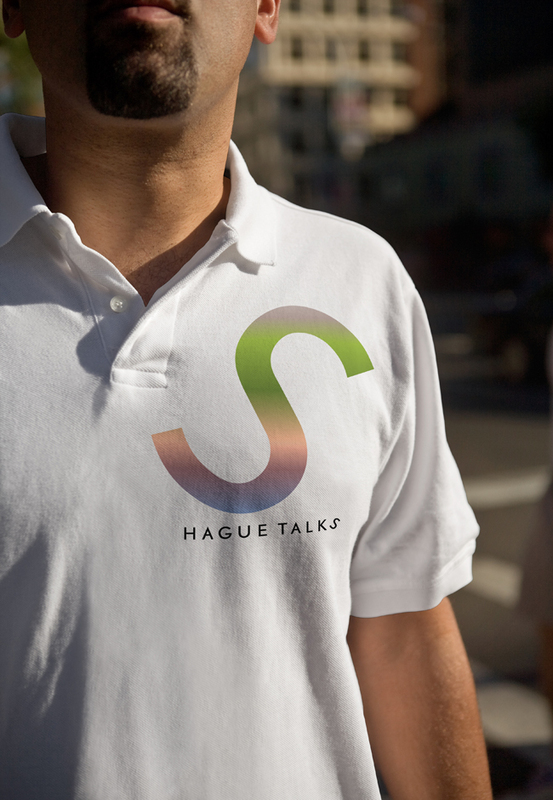 The logo represents the start of the peace process and the chain reaction that follows. 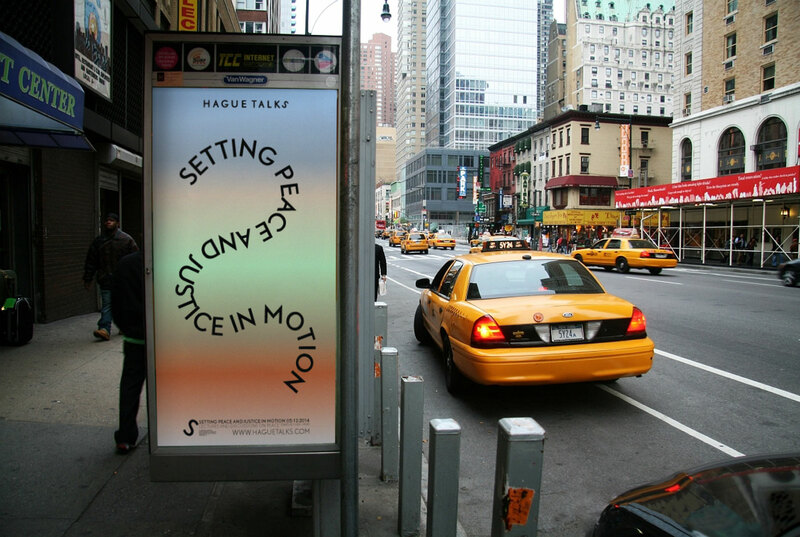 This chain reaction is also translated into the moving typography which can be found throughout the whole identity. 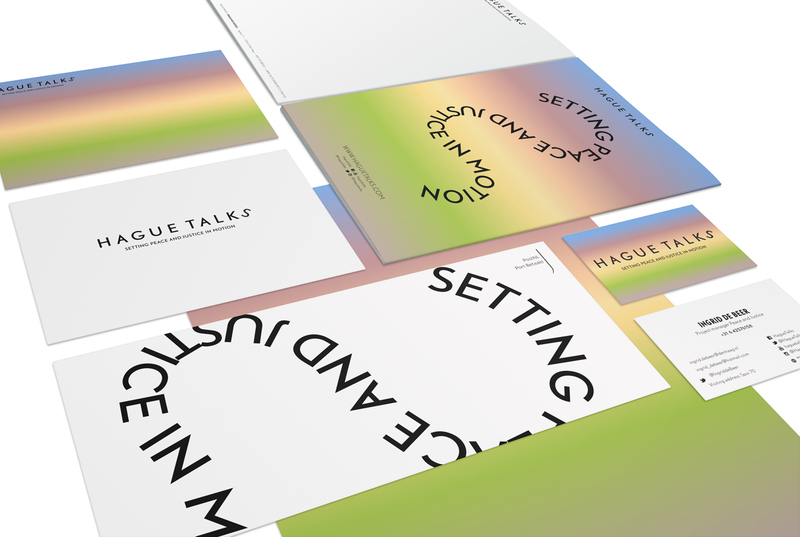 Hague Talks is a stage and breeding place for new ideas and perspectives, a forum for discussion and a starting point for concrete action. 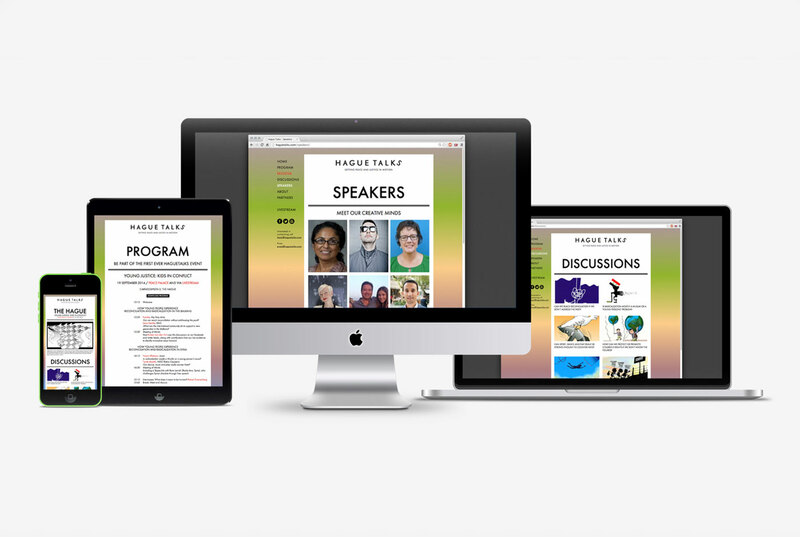 It is the platform that sets the ball rolling on the idea of gaining peace and justice.